Tweeterhead has sent along photos and details for their awesome looking new San Diego comic-Con 2017 Exclusive. 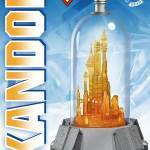 They are offering a DC Comics Bottled City of Kandor, complete with glass dome. This will be part of their Super Powers Collection, joining their new Harley Quinn Statue. Check out the details below and see the photos after the jump. The city was designed and sculpted by Matthew Black and it’s really incredible! The city will come as one piece but Matthew designed it to have 12 different parts! Being this tiny, that’s quite a challenge! Kandor is 5.5 inches tall and fits perfectly with our “Super Powers Collection” Line of Maquettes. Kandor also features a glass dome. Limited to just 1000 numbered pieces. 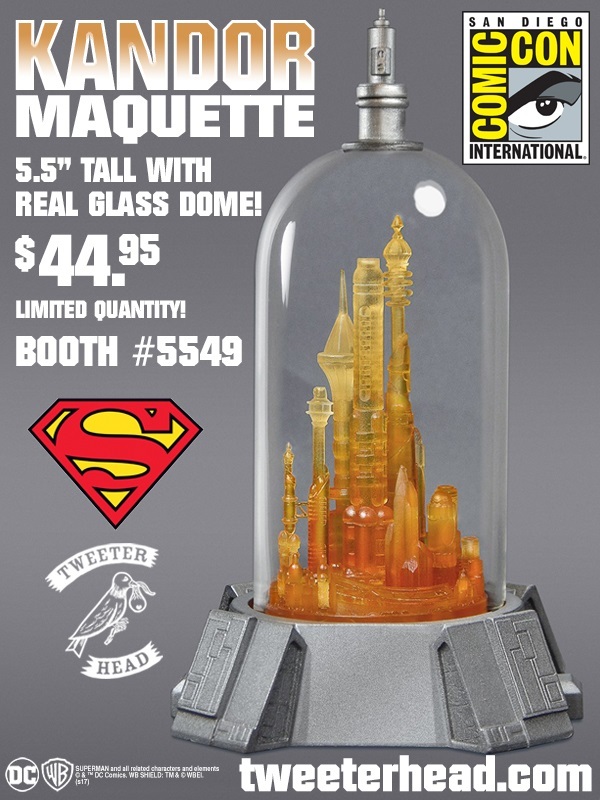 Kandor will be on sale to SDCC attendees (booth pick-up) on Tweeterhead.com and we will also have a link for non attendees to be added to a waiting list. 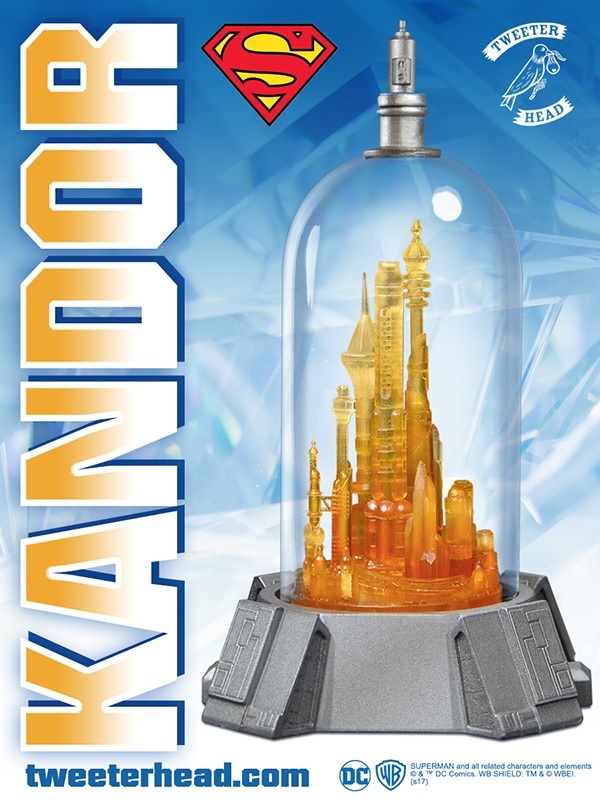 Kandor is $44.95 and later this year, we will be offering a “Fortress of Solitude” Base that is the perfect display for Kandor.